Overview - Portable Hand Sewing Machine - Multicolour is a simple and small tool that is ideal to use to do small and little sewing jobs. This handy little machine is a reliable and trustworthy brand for similar home utility products.Design and Comfort - Portable Hand Sewing Machine - Multicolour is a versatile product that can be a great piece of home utility accessories for your home. This miniature sewing machine helps you stitch little garments like kids' clothing, kitchen towels, handkerchiefs and other small items. . 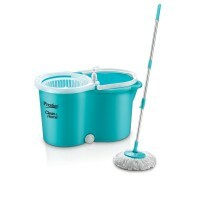 This is a very durable and long lasting product that will last a long time. 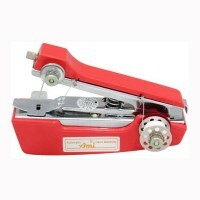 It can help you repair small tears and cloth issues even while you are travelling.Features - Sew your clothes conveniently by bringing home this Mini Stapler Model Portable Hand Sewing Machine. Made of polypropylene material, it secures the superlative quality and is sure to last for years to c..
Easy to use and cleanSimply turn the handle forward and backward for choppingFast, safe and easy for chopping Onions, Chillies, Vegetables Etc.Package Contents: 1-Piece Onion/Vegetable ChopperColor May Vary upon availability..
Hard Anodised non stick cookware with induction baseDeep BaseTempered Glass LidPerma-cool Handle2 year WarrantyExperience new-age cooking with this Saute Pan. 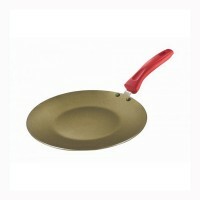 India's first Hard Anodised cookware, Non-staining and metal-spoon friendly, thus making it truly durable. Go on, use this cookware as a cook-and-serve, flaunt it, enjoy the attention and, of course, all the lip-smacking delicacies you can make with it. 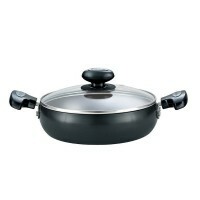 ..
Prestige HA Signature Caserole 240mm Induction B..
Hard Anodised non stick cookware with induction baseDeep BasePerma-cool Handle2 year WarrantyExperience new-age cooking with Prestige Hard Anodized Non-stick Cookware. 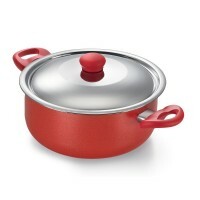 The anodized aluminium ensures that there is no peeling or damage to the cooking surface. 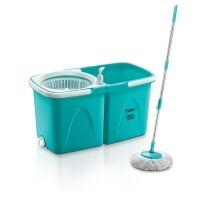 The material is twice as hard as stainless steel, thereby guaranteeing strength. Superior heat condition capability makes the product even more durable ..
Fry Pan 240mm, Omni Tawa 280mm, Kadai 240mm with Lid, Milk Pan 160mm with LidDurable Granite-Fnish CoatingSuperior Non Stick SurfaceInduction BaseDishwasher SafeCook & Serve2 Year WarrantyIndia’s first 5-layered non-stick cookware, Omega Deluxe Granite is made using German technology and it lasts three times longer than ordinary non-stick cookware. 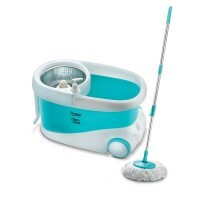 Its special spatter-coated surface looks new for longer and is also metal-spoon friendly. What’s more, Omega Deluxe Granite can be used on both gas and induction cook-tops. All-in-all, this Prestige cookware is truly layers above the ordinary. 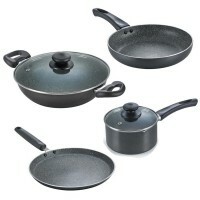 ..
Fry Pan 240mm, Omni Tawa 280mm, Kadai 240mm with LidDurable Granite-Fnish CoatingInduction BaseSuperior Non Stick SurfaceDishwasher SafeCook & Serve2 Year WarrantyIndia’s first 5-layered non-stick cookware, Omega Deluxe Granite is made using German technology and it lasts three times longer than ordinary non-stick cookware. 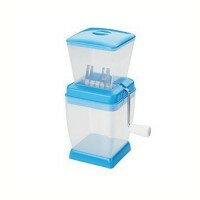 Its special spatter-coated surface looks new for longer and is also metal-spoon friendly. What’s more, Omega Deluxe Granite can be used on both gas and induction cook-tops. All-in-all, this Prestige cookware is truly layers above the ordinary. .. 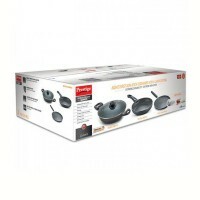 Durable gold coating with stainless steel reinforcementSuperior non – stick surfaceDishwasher SafeSpecially designed soft touched HandlesPFOA FreeInduction and Gas Compatible.2 Year WarrantyIndia’s first 3- layered non-stick cookware, Omega Gold Series is made using German technology and it lasts three times longer than ordinary non-stick cookware. Its special Radiance Coating with stainless steel reinforced surface looks new for longer and is also metal spoon friendly and also gives you even heat distribution. what's more Omega gold series can be used on both gas and induction cook-tops. All-in-all, this Prestige cookware is truly layers above the ordinary. 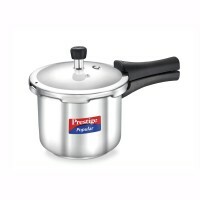 ..
Prestige Omega Gold Series Saucepan 240mm With S.. 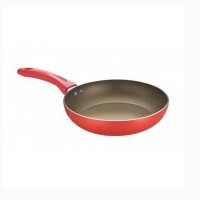 Durable gold coating with stainless steel reinforcementSuperior non – stick surfaceDishwasher SafeSpecially designed soft touched HandlesPFOA FreeInduction and Gas Compatible.2 Year WarrantyIndia's first 3- layered non-stick cookware, Omega Gold Series is made using German technology and it lasts three times longer than ordinary non-stick cookware. Its special Radiance Coating with stainless steel reinforced surface looks new for longer and is also metal spoon friendly and also gives you even heat distribution. what's more Omega gold series can be used on both gas and induction cook-tops. All-in-all, this Prestige cookware is truly layers above the ordinary. 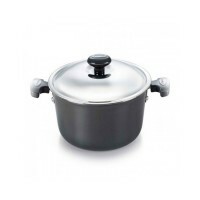 ..
Prestige Popular Stainless Steel Pressure Cooker.. CONTROLLED GASKET-RELEASE SYSTEMProvides unmatched safety by letting out excess steam built up inside the cookerDURABLE HANDLESModern handles designed for durability, easy holding and maintenance. Also, the handle is attached to the body with two screws for added strengthMINI METALLIC SAFETY PLUGThis safety plugs melt to let out steam. This happens when the temperature/pressure rises beyond the safe level due to the insufficient water or food particles clogging the vent tube..
Eveready GS CS2B Glass Top 2 Burner Gas Stove Bl.. 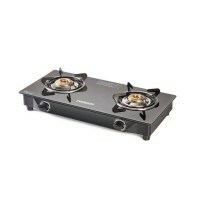 Heavy duty brass burners Toughened glass top Premium finish powder coated body Full black powder coated body Heat resistant toughened glass Color : Black, Material: Aluminum Package Contents: 1-Piece Gas Stove2 Year warranty With Doorstep Service..